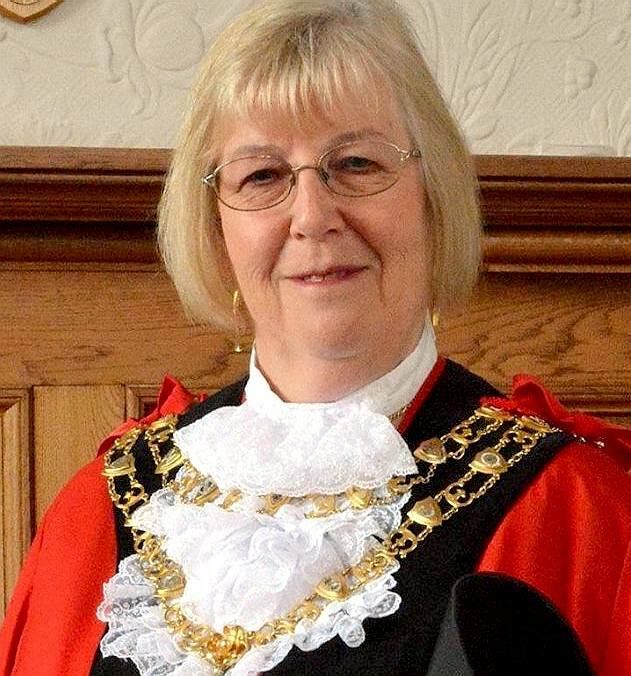 ABOUT COUNCILLOR GILL MATTOCK - Longstanding Liberal Democrat councillor Gill Mattock is the Mayor of Eastbourne. Gill is also the deputy leader of Eastbourne council and the lead for financial services. She has served as a councillor for St Anthony’s ward since May 2007. Gill moved to Eastbourne in 1971 to study at the Eastbourne Teacher Training College where she qualified as a teacher and met husband Alan in her final year. PLASTIC FREE EASTBOURNE - Conservation is the name of the game in Eastbourne, the aim being to save our heritage for future generations. 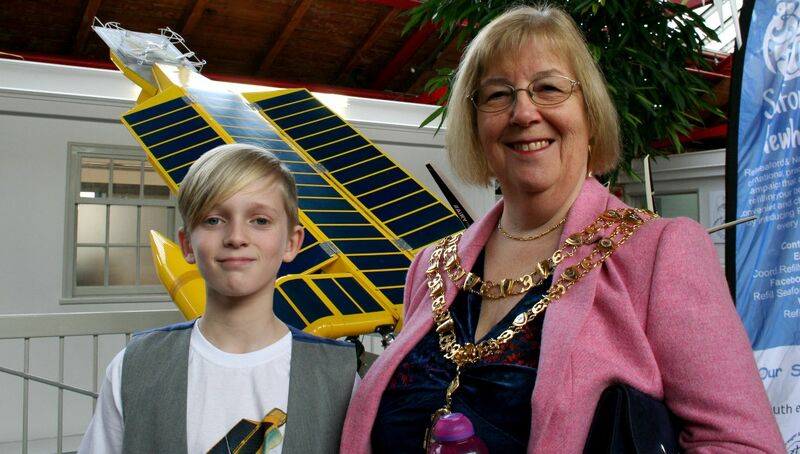 Councillor Gill Mattock, Mayor of Eastbourne, is pictured here with Ryan Dusart, at just 10 years old - the youngest member of the SeaVax team of volunteers. The SeaVax, seen in the background, is a giant solar and wind powered ocean going dustcart, designed to filter plastic from seawater without harming marine life. SeaVax is a robotic ship that works in fleets with satellite coordination to form an effective ocean plastic recovery system to stem the 8 to 12 million tons of waste that humans are pouring into the oceans every year. Being solar and wind powered, SeaVax is climate friendly. Global Warming is high on the agenda at Davos and is getting a lot of attention from protesting schoolchildren like Greta Thunberg. MAYOR OF EASTBOURNE - Councillor Gill Mattock spoke at the Refill Plastic Free Eastbourne event on Saturday 26 January 2019. The 1/20th scale humpback whale in this picture is called Kulo Luna. The whale is one of the main characters of an ocean awareness story. The SeaVax proof of concept model in the background is also 1/20th scale. Emily's work could eventually make the ocean safer for cetaceans. 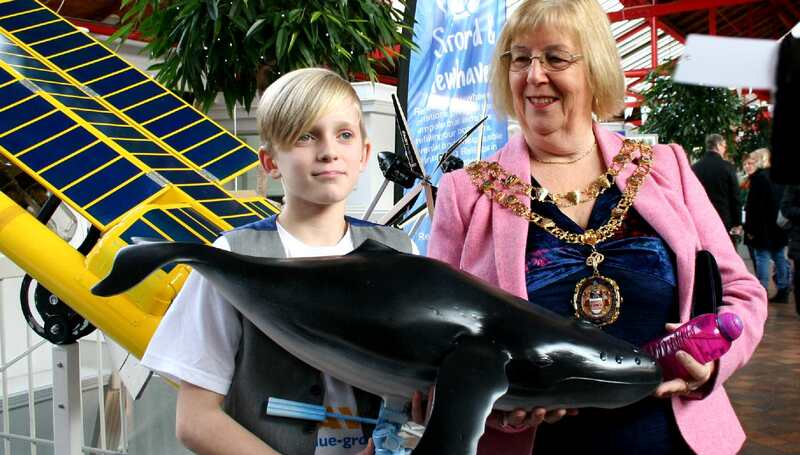 At just 10 years old, Ryan Dusart is the youngest volunteer with the Cleaner Ocean Foundation. He loves speaking about ocean conservation at events. Copyright photograph © 26-01-19 all rights reserved.